This is a terrific example of what I call a 'fisheye portrait' because I shot it with a fisheye lens that distinctively curves the edges of the photo in an ultra-wide-angle view. Fisheye portraits are pretty unique to Wallflower Photography — I've never seen another photographer do them in quite the same way. 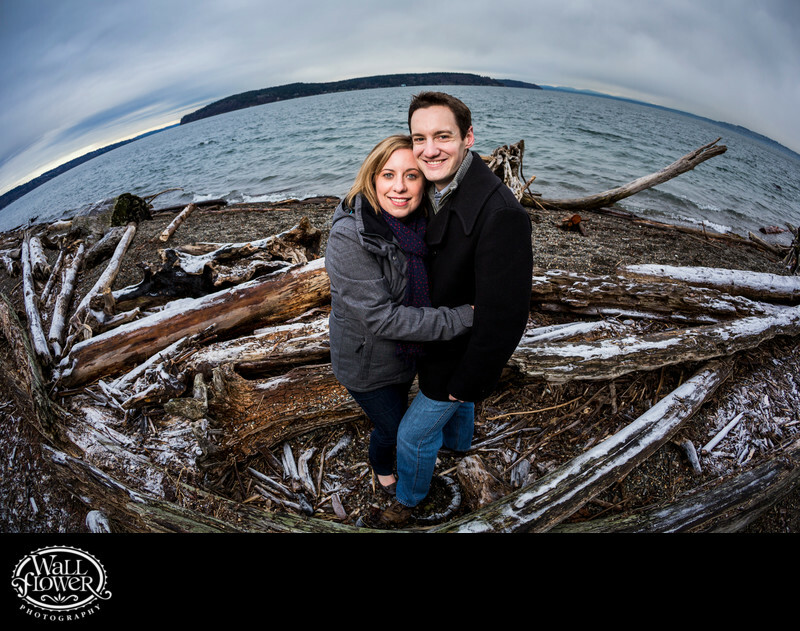 With the camera and an off-camera light positioned just a couple feet from the couples' faces, it looks like they are standing on top of the world, and really shows off the frosty driftwood on this chilly day at Point Defiance Park's Owen Beach.